There is no denying the fact that web is gradually becoming a graphical rather than textual medium. Indeed, “a picture is worth a thousand words” and following this proverb more and more websites and blogs are becoming abundant in images, photos, pictures etc. The thing is that no matter how much useful information your website may contain, it won’t be appealing unless it has some eye-catching images. Moreover, the visual component has even become a matter of courtesy that makes images an indispensable part of any successful project. Consequently, the sphere of web design for its part is also making headway, offering a wide range of solutions to the problem of displaying as many pictures as possible. Nowadays it is not a problem whether to make your picture slide or pop-up on the screen, with its background darkened to the appropriate degree of transparency or without darkening effect at all etc. Of course, you may have some other needs, nevertheless, the final aim will remain the same – to present your images as successfully as possible with the least possible trouble involved. In this respect, WordPress offers a great choice of gallery plugins for your website to meet your most sophisticated needs. Here you’ll find a review of three most popular gallery plugins: NextGen Gallery by photocrati, Fancy Gallery by Dennis Hope and Gallery by BestWebSoft. All of them are easy-to-use, functional and compatible with the latest version of WordPress. Undoubtedly, this plugin with its more than 9 million downloads appears to be the most popular one, finding its honourable place in almost every top-5. Still, according to the WordPress community it’s average rating makes up 3.9 out of 5 points. it is a kind of mainstream. With its great variety of outstanding features, this plugin is a very powerful piece of software on the one hand, providing a powerful engine for uploading and managing galleries of images, editing and effecting them, and a rather complex one on the other. Moreover, its excessive popularity has played a low-down trick on it, shutting your site from a drop of originality. 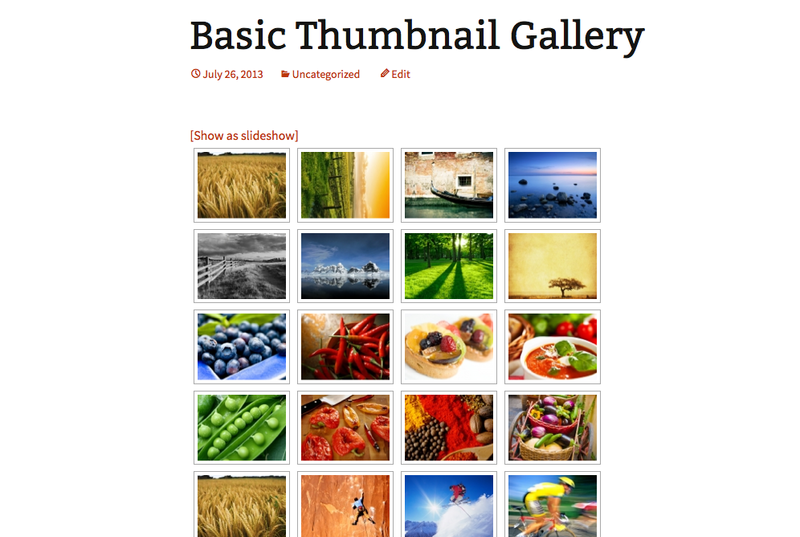 It’s another popular, functional and usable gallery plugin, developed by Dennis Hoppe, having more than 110,000 downloads on its account. According to the WordPress community it’s average rating makes up 3.9 out of 5 points. 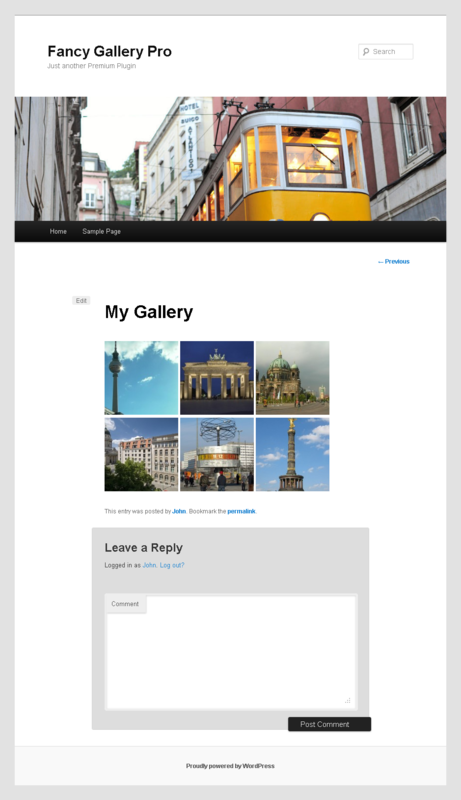 the look for the gallery on the post/page might not suit every theme. On the whole, Fancy Gallery is a powerful freshly-looking opponent of the good old NextGen Gallery. If the media on your site is exceptional – this plugin will be a good choice. It offers a wonderful preview of images, preventing the viewer from downloading them. Responsiveness is another advantage over the first contestant. All in all, Fancy Gallery is a nice plugin to use, once you are ready to come down with 21$ on a regular license of a pro version. 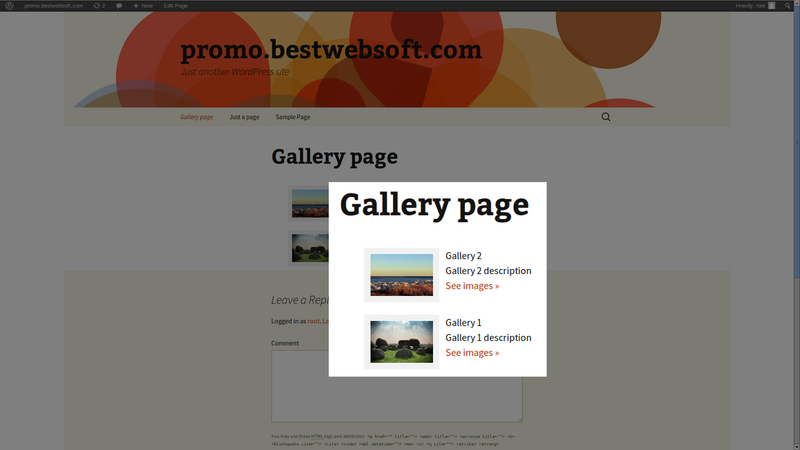 Gallery plugin by BestWebSoft with its about half a million downloads allows you to implement as many beautiful galleries as you want throughout your site. According to the WordPress community it’s average rating makes up 4.4 out of 5 points. The possibilities of this plugin will undoubtedly meet the needs of the most demanding client. you can upload HQ images. not enough responsive (iPhone, IE8). Indeed, with its wide range of useful features and free download, Gallery appears to be a worthy alternative to both hackneyed NextGen Gallery and exquisite paid version of Fancy Gallery. Moreover, BestWebSoft doesn’t only offer constant updates of the given plugin, but also a paid pro version, containing much more options. All in all, finding the best gallery plugin at a greater extent depends on a user’s personal likes and needs. The given article is just a help for you to see into a large scope of available plugins and it is up to you to decide which one suits you best.